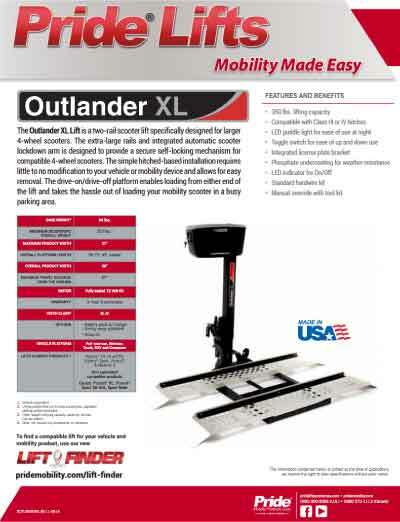 The Outlander XL Lift is a two-rail scooter lift specifically designed for larger 4-wheel scooters. 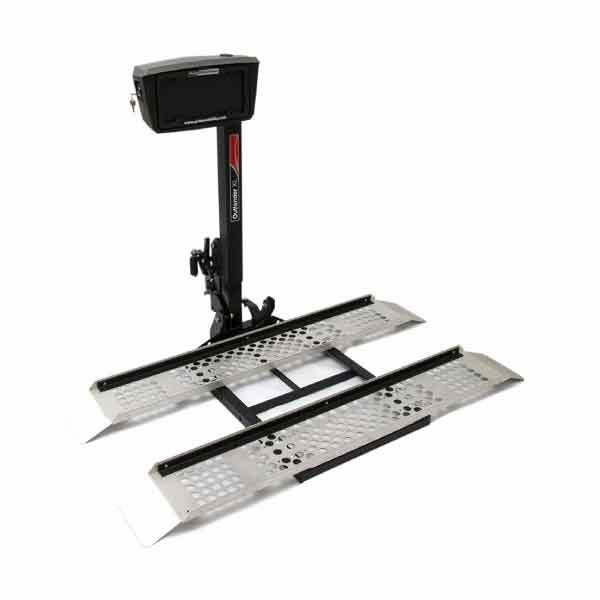 The extra-large rails and integrated automatic scooter lockdown arm is designed to provide a secure self-locking mechanism for compatible 4-wheel scooters. 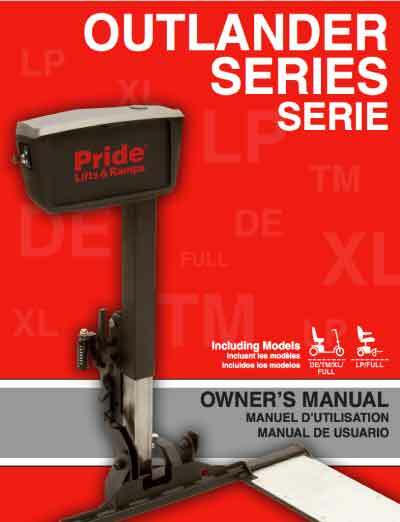 VIEW CATALOGUE OF LIFTS & RAMPS.